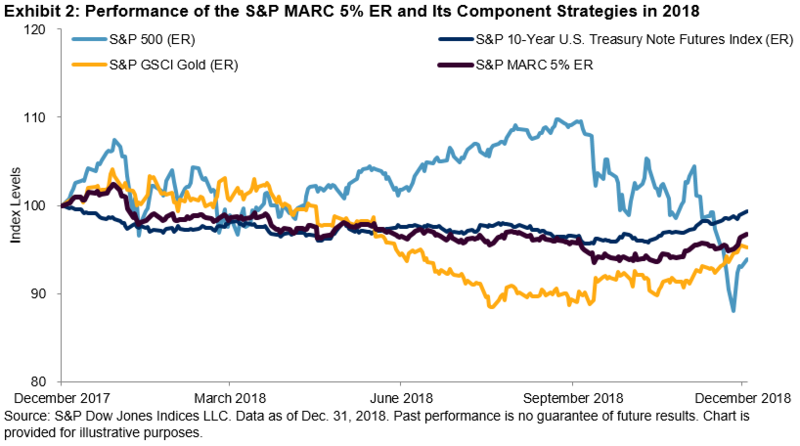 Despite a rocky start and end to 2018 that negatively affected the performance of all the asset classes within the S&P MARC 5% Excess Return (ER) Index, the index maintained a relatively stable performance throughout the year, although it ended the year in red. 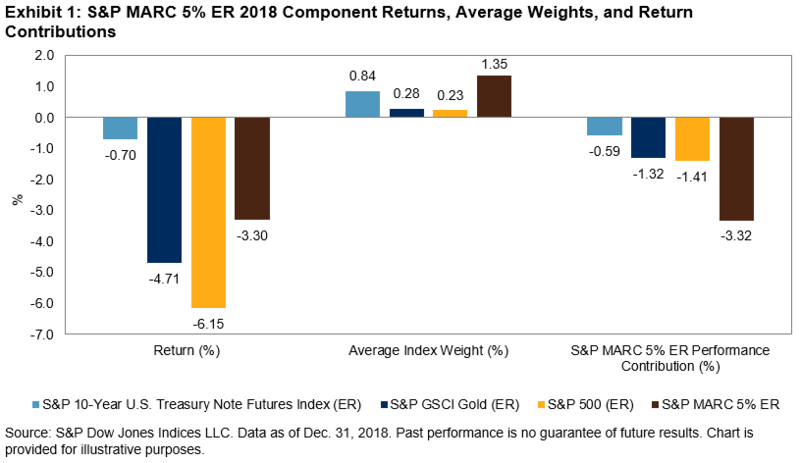 When you look at the asset classes in the S&P MARC 5% ER, on an excess return basis, equities, as measured by the S&P 500®, and commodities, as measured by the S&P GSCI Gold, had the largest losses with -6.1% and -4.7%, respectively (see Exhibit 1). Taking these returns and multiplying them by the average weight of the asset classes in the index provides a good indication of which asset classes affected the index performance the most. What is surprising is that 2018 started on different footing from where it ended. Looking at early 2018, with the exception of February to April, there was a clear dispersion of performance between the different underlying asset classes, and that became more pronounced after April when equities began to rally and gold sold off through the end of Q3 2018. 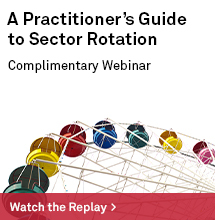 Looking at Q4 2018, the bifurcation of performance continued with equities selling off sharply, while the other asset classes and the S&P MARC 5% ER moved higher toward the end of the year. When comparing the component assets to the S&P MARC 5% ER to see what periods the components outperformed or underperformed the index, the story is similar. The diversification built into the index design shows that no single asset class consistently performed in line with the S&P MARC 5% ER throughout 2018, but that instead there was a diversification of relative performance between the components and the index itself (see Exhibit 3). 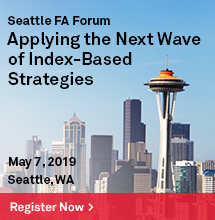 On the surface, it looks like the index was allocated to cash after the February drawdown because of the almost sideways performance; however, when looking at the index weights, what becomes apparent is the index allocation throughout the year. 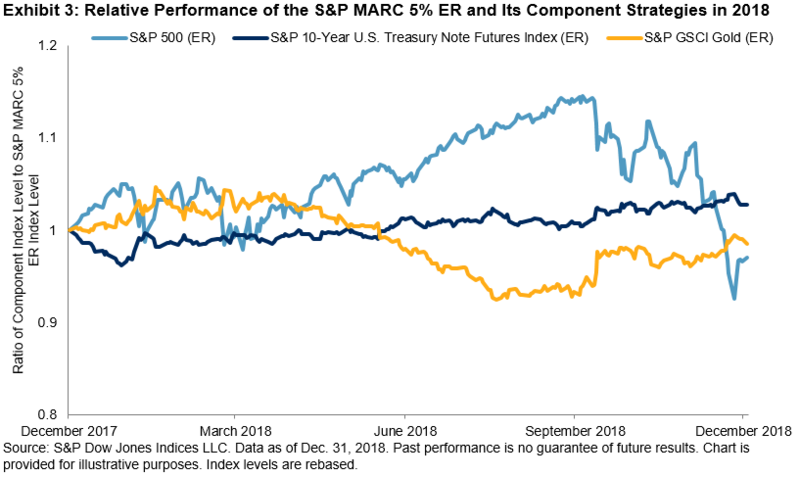 Unlike many other strategy indices, which moved to cash or short-dated Treasuries for extended portions of 2018, the S&P MARC 5% ER held sizeable positions across equities, Treasuries, and gold with an average of 23%, 84%, and 28%, respectively. 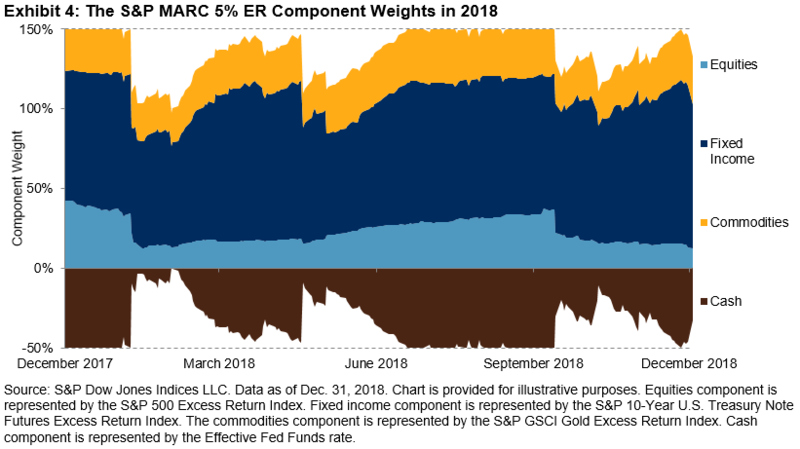 In addition to the distribution across asset classes, the S&P MARC 5% ER had an average index allocation of 135.7% in 2018. 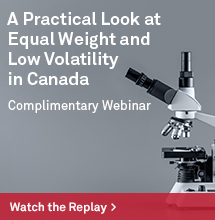 For more information, please see the S&P MARC 5% Index Methodology. 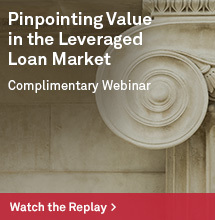 Throughout the rest of this blog, the S&P MARC 5% Excess Return Index will be referred to as the S&P MARC 5% ER.